There’s no argument that I’m not the most patient person in the world. But, I was losing my patience today and I think it could have been avoided. I appreciate that the-powers-that-be at FCI decided to have our class try a new menu and apparently a more complicated one (I appreciate the confidence in our class! ), but I really believe no one tested the recipes as written prior to giving them to us, and if they did, the recipes are just not very good. As one of my fellow students said today, “If you’re going to give us a harder menu, at least give us a good one.” My sentiments exactly. Don’t get me wrong, I’m always up for a challenge, especially in the kitchen. But, being a former teacher, I never gave my students very limited time to try to perfect – for their final exam – something that I hadn’t even tried myself and something that I’m still very much working on into their practice days. When I have only 2 days to perfect each dish prior to the final exam, I don’t expect the instructors to still be changing the menu 2 days into that practice – and not be happy with all of it. So, FCI, do your students a favor: experiment with your recipes and make sure to clearly articulate how you want them done BEFORE giving us the recipes so you’re not cutting into the students’ practice time. It’s great if your idea was to allow us creativity in changing the recipes (I don’t think that’s true in the restaurant level, however), but we also know that we have limited time to get the recipes excellent. Okay, now onto happier thoughts. I made a really easy chocolate ganache that you can use for garnishing or as a sauce. Use a really good dark chocolate or bittersweet chocolate for this. The recipe is super simple: Bring 12 oz. of cream to a boil and pour it over 8 oz. of chocolate cut into chunks. Stir until all the chocolate is incorporated into the cream, so you have a semi-thick sauce. Cool it over an ice bath. If you need to thin it out, simply add in a little more cream (cold is totally fine), and stir. You can add vanilla to it, cayenne or any ground chili to it, or just about any other flavoring if you want to add another dimension to the ganache. 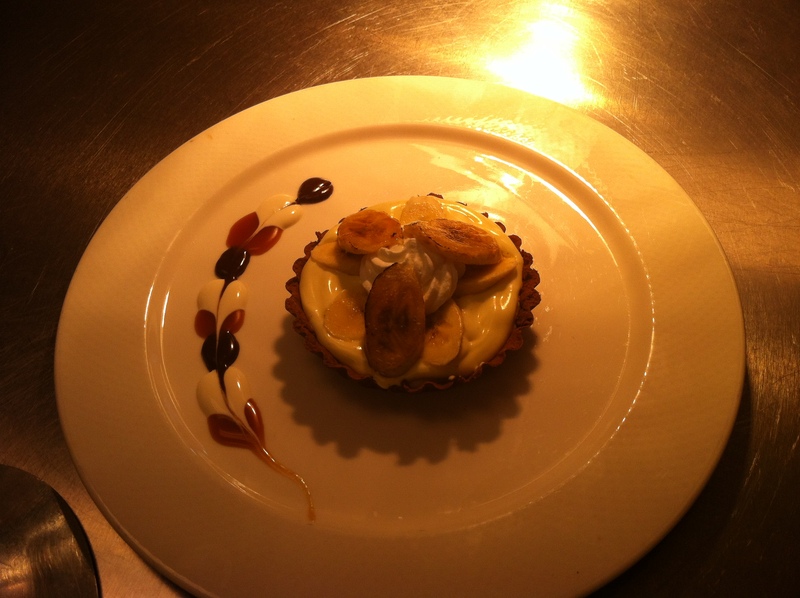 We use the ganache to garnish the side of the plate for the banana-chocolate tart (see above). But, the sauce can be used over bananas, ice cream, tarts, etc. 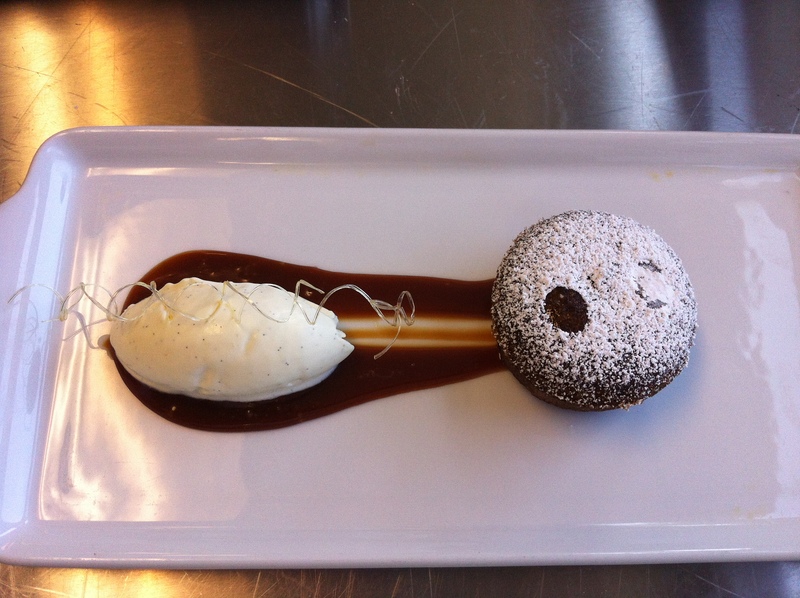 I also liked Chef Peter’s white dessert sauce (I’m not sure what he called it). It is also simple: sour cream, creme fraiche, and sugar. I’m not really sure of the proportions of each, but I think you can get it right if you start with a little sour cream, a little creme fraiche and a couple tablespoons of sugar, whip that up until all is incorporated and then adjust the taste (meaning more or less of any of the ingredients). It’s a nice tangy sauce that’s heavier than whipped cream, and if you want to use 2 or 3 sauces on something, this sauce is a nice compliment to the sweeter sauces like caramel or chocolate. For many years in my life, I never stopped to smell the roses. 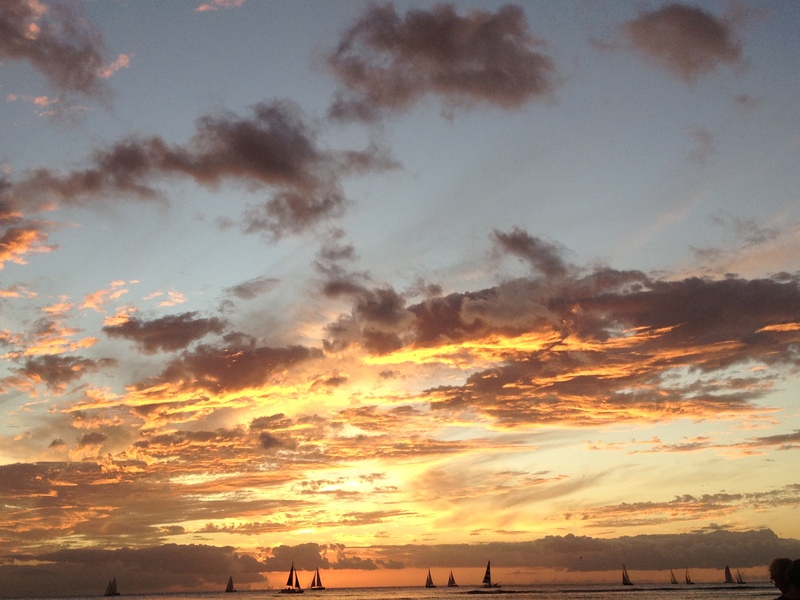 Everything was about forward momentum and running with that momentum: full speed ahead, no regrets, little reflection. Over the past couple of years, especially, I’ve really wanted time to slow down as I know it’s speeding up and that’s the joke on all of us. 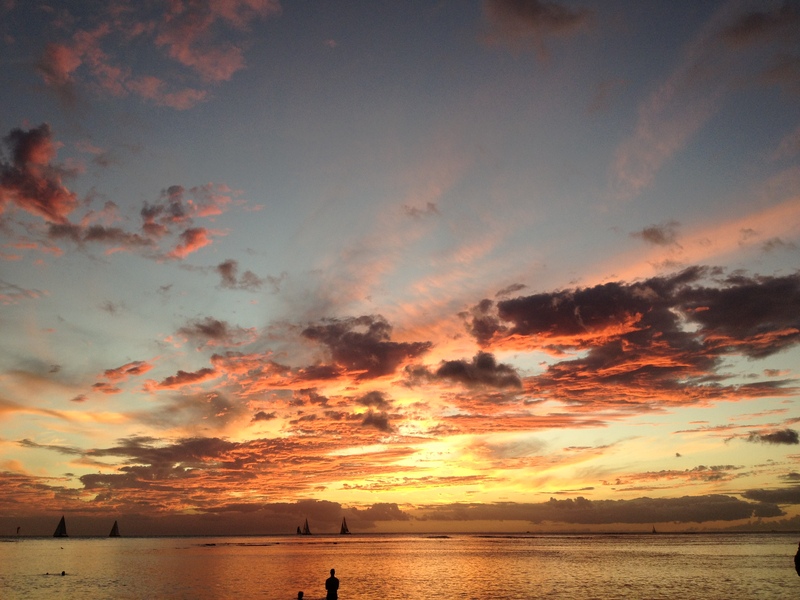 I’ve wanted to make time to reflect, and I’ve wanted to make time to just be. Why do I want these things? 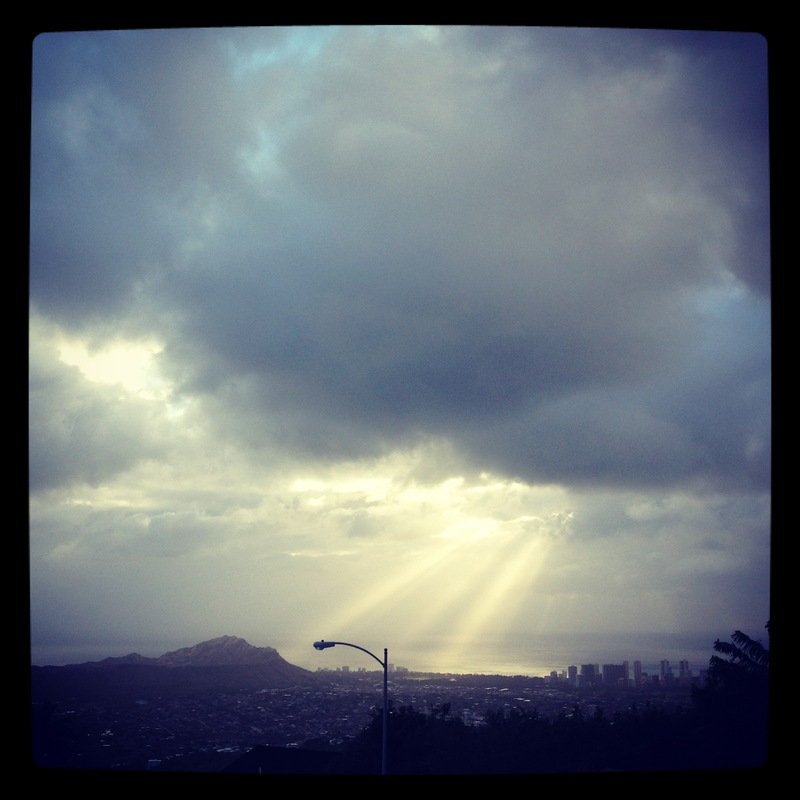 I think it’s because I realize life is precious and short, and that I haven’t figured it all out yet. Going to culinary school was about the same things that I’m always about: trying new things that get me excited about life and trying to be the best at them. But, this school and cooking journey has been about a lot more than that. Even though time did not slow down and in fact I know Father Time sped up over the last 6 months just to piss me off, this journey has been a lot about reflection and just about “being” some nights. Like Thursday night, for instance. I was in my kitchen, all by myself, making dinner for myself and thinking about how fun it was to be able to do this. I don’t know that I’ve ever known contentment or that I would admit it if I did because that word always seemed synonymous with complacency for me. And, I never want to be complacent. But, I was content and full of happiness to be doing what I was doing in the moment – not looking forward or backward, just feeling confident and almost effortless at what I was doing, and enjoying the simple pleasure of making delicious food. What a luxury! 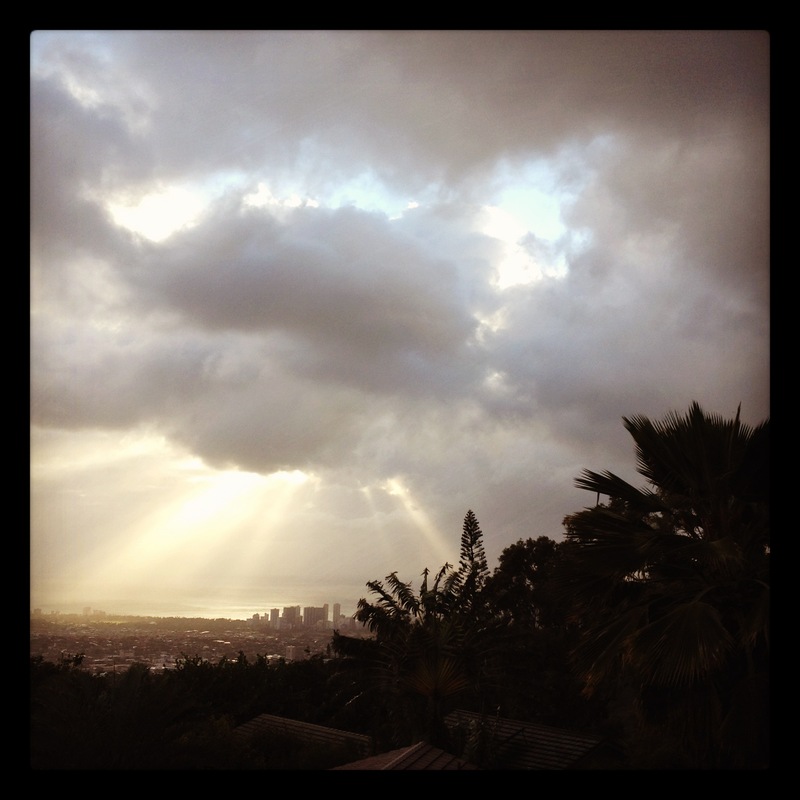 So, after just “being”, I decided to reflect about what I’ve learned over the past 6 months. There are sooo many things that I can think of, but I’m going to write the first 10 things that came to mind. They are not all the most important, nor are they in any particular order. I just want to write them down because some are so simple I can’t believe I had to go to culinary school to learn them. Some are not directly related to what I learned at school but rather what I learned about myself during this past 6 months. 1) Every kitchen – home or professional – needs a chinois (fine strainer). 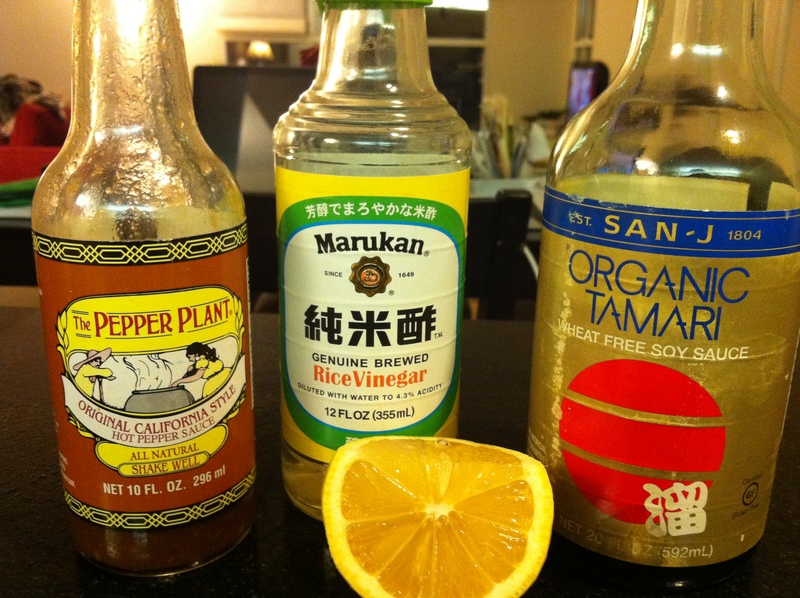 I don’t know how I ever made refined sauces without them. They’re not that expensive. Get one. 2) If I’m going to be a professional chef, I need to find an exercise regime that compliments that. As an example, I have weak wrists and I have some neck issues. So, I need to be committed to developing strength in my wrists, hands and forearms, and I really need to do yoga (frick!). As Carnet knows, I hate yoga. It’s painful and I’m not into someone talking in a groovy, calming voice as if I’m about to throw a fit if they spoke normally. But, stretching and maintaining a great posture is super important if you’re going to be on your feet all day and leaning over something most of that time. And, the reality is, the sun salutations are a great way to keep your posture and your muscles in great shape. Ughh. 3) You need a good partner in the kitchen and one in your life if you’re going to be a successful restaurant chef. If I ever open a restaurant, I will be looking for that amazing chef de cuisine. That person will need to be a rock star in the kitchen just as I plan to run a rock star restaurant. And, being an amazing chef/restaurateur takes enormous amounts of time, so who helps you at home and in your personal life? Your amazing partner, of course. I’ve got that. Thanks, Carnet! 4) The chef instructors at FCI are among the finest you’ll find anywhere and if I had my choice of any school, I’d choose FCI again. A good friend once said to me, “Those who do, can. Those who can’t, teach.” I knew he meant that as a compliment because he told me that when I quit teaching to go do something else. But, I never really believed that was true. I was a lawyer before I was a teacher, and that’s exactly why I got the opportunity to teach – because I knew my stuff. The FCI instructors know their stuff and most of them are incredible at imparting that knowledge – not just in “book” instructional ways, but through stories, anecdotes, and by throwing out the book (and recipes) sometimes in favor of what really works. I’m impressed and I will use them as life long resources. Thanks, guys! 5) Culinary school is so much more fun if you throw yourself into making friends with the other students with whom you work most closely. As cheesy as this sounds, I know a few of my culinary friends will be my friends far into the future. We text about the good food we make at home, we send pictures of the same, we talk about staging and externing and the awesome and painful things that come along with doing those, we help each other in the kitchen, we don’t compete (at least not yet), we go to drinks, we critique restaurants we visit either together or separately, and we check in with each other to see how one another is doing. It’s like family, but only better. Kidding, kind of. I feel so lucky to have met the people in my class. It has been a blast. Tomas’ hilarious singing gets me laughing every day. I will always seek out a Tomas in the kitchen from now on 🙂 Laughing is super important, especially when under stress. It puts things in perspective. 6) Sharpen your knives! I can’t believe I ever worked with dull knives. Yes, it’s true – a dull knife is more dangerous than a sharp one. I’m embarrassed to stay I still don’t have a professional knife sharpener, only a steel. But, at least I do the steel and it makes such a difference. 7) Lucky #7 is similar to lucky #3, but it’s an ode to my partner. I could not have done any of this without you. Thank you a million times for encouraging me, supporting me, pushing me, critiquing my food harshly even though you know I want smack you when you do, and for loving me. You are amazing. MFMMMA! 8) The Vita-Prep is essential home kitchen equipment for any chef who thinks she’s serious. There are so many expensive and crazy gadgets out there, but VitaMix, Vita-Prep is the best blender you’ll ever buy, and hopefully you’ll only need to buy one (unlike some $30-50 blenders that don’t blend very well and that have broken on me within the first year). It has industrial power and is super fast. I sound like an infomercial. If you have the money, just do it. 9) Cook in as many different kitchens as you can under chefs who share, share share. Simple enough, right? I think there are a lot of brilliant chefs out there, but I want to work with and for the ones who say, “you should take every one of my recipes” and then teach you how to make them (yes they are out there and I’ve worked for a few). I will work damn hard for those chefs any day. Old school ways teach humility, sure, but I’m not content to sit back and patiently wait for someone to take an interest in teaching me while I prep and work on garde manger for years in one place. I want to jump right in, learn as much as I can, and keep pushing forward. The chefs who help with that are confident in what they do, are passionate enough to share, and they understand that it helps the profession overall if they partake in turning out more artful, skilled chefs who in turn help them bring more nobility to the profession (nobility meaning grandeur and magnificence). 10) Cooking is about “endless reinvention”, one of several guiding principals and words that Daniel Humm and Will Guidara from Eleven Madison Park (http://www.elevenmadisonpark.com/) use as inspiration. I like these two words a lot and not just because they were used to describe Miles Davis who was one of the greatest jazz minds ever. To me, it is the essence of what great chefs should strive to do – constantly reinvent themselves, their food, their restaurants. I hope to constantly push the limits of my creativity with food and making people happy eating my food. I hope to never find a limit to my creativity. Endless reinvention. Speaking of Daniel Humm and Will Guidara, they are even more impressive when you hear them speak together, like several of us from FCI did last night. These guys are true complimentary partners in every sense of the word and they get it. Will mentioned that one of the secrets to their winning formula is giving all of their employees a true sense of ownership of the business, which I learned when starting and working for start-ups. It’s good to see that restaurateurs and amazing chefs are now thinking that way, as well. Can’t wait to see what these two guys continue to do in the future! Oh, and if you want a really beautiful recipe book in which they promised all recipes have been tested and re-tested, buy their cookbook. I did and I’m already thinking about what recipes I’m going to make from it (and likely change a bit) tonight. 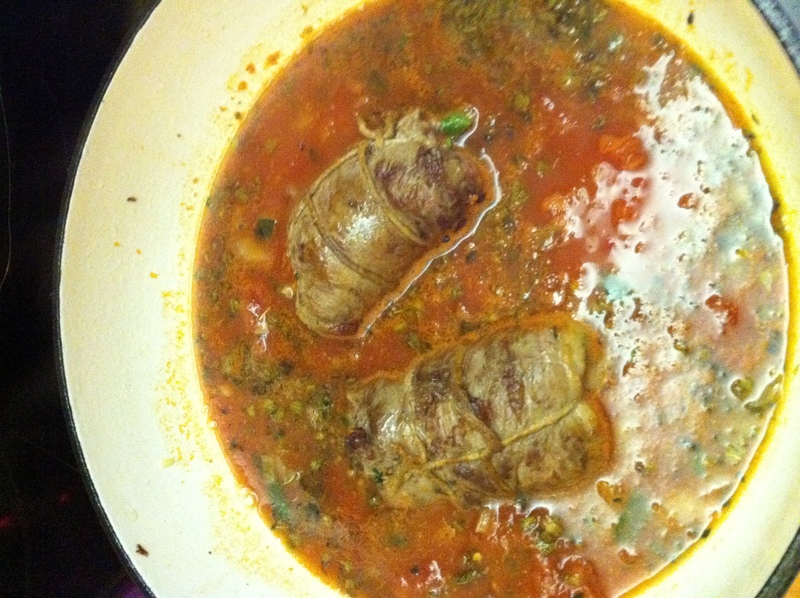 Day 99: Last day on rabbit and osso buco – yeah! Tomorrow, I get to play sous chef again and start prepping for a new menu. I’ll be glad to get away from the rabbit and osso buco. 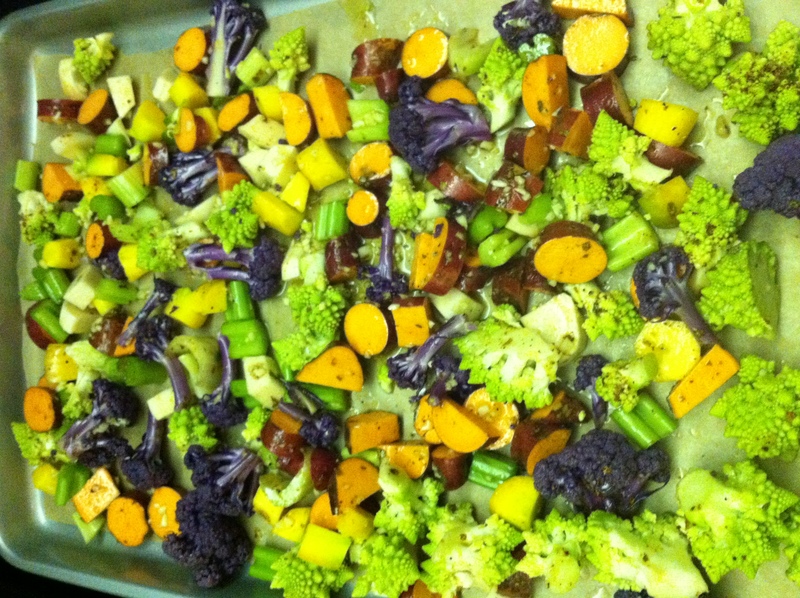 Tonight, it’s another “all in” dinner night, in an attempt to use the last of last week’s CSA box: romanesco (the green cauliflower looking thing in the picture at top); purple cauliflower; yellow carrots; rutabaga; sweet potatoes; and celery. We have celery coming out of our ears. Celery is really great for stocks and soups, but I’m so over trying to use it in everything just to use it. If I have one complaint about Mariquita Farms, it’s that they go really heavy on the large bundles of celery and cauliflower week after week. These are pretty boring vegetables for me to work with. 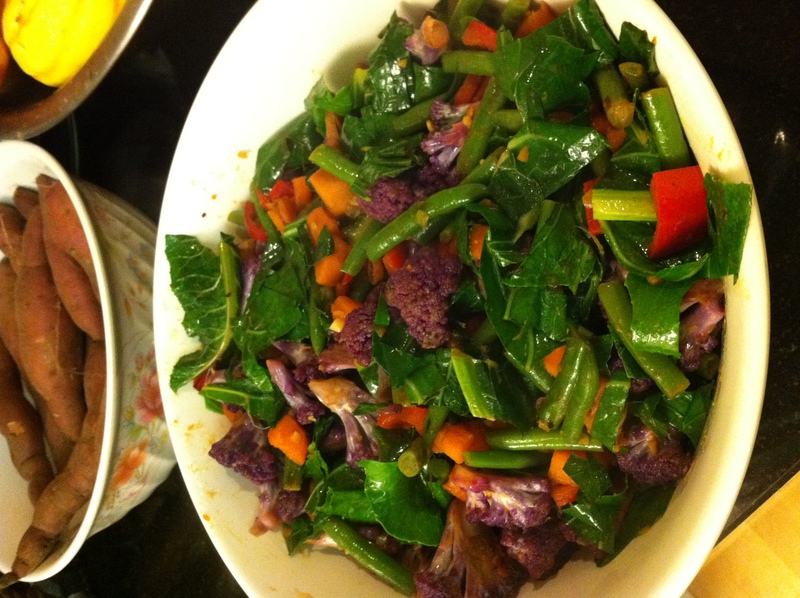 But, alas, they will make a delicious roasted vegetable medley with garlic and olive oil. I’ve also been marinating lamb shoulder chops in some dijon, lemon, fresh tarragon that was also in my vegetable box, garlic, salt, pepper, and olive oil at room temp for about an hour. I’m going to pan sear those in my cast iron pan a few minutes on each side and then finish them in the oven, if needed. Here they are marinating. 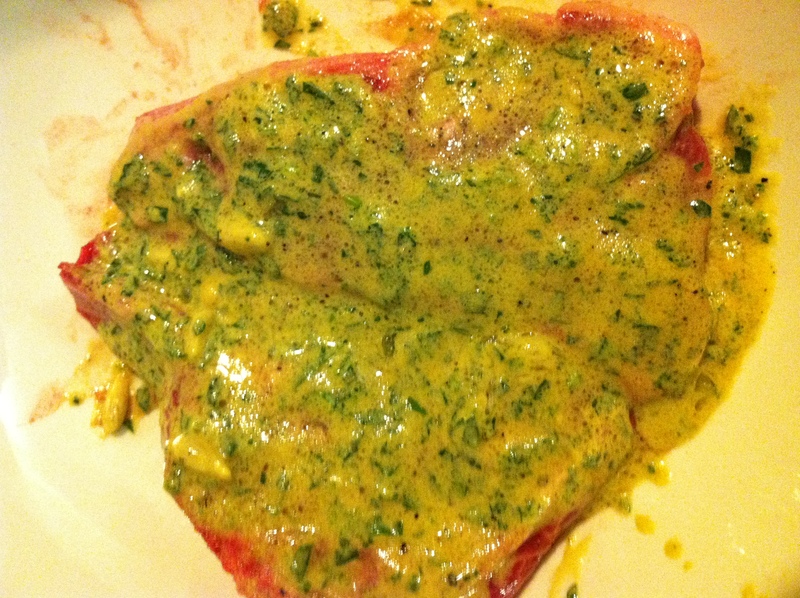 I love marinating lamb in herbs, mustard, onion, salt, pepper and olive oil, as well. It’s really super quick and very tasty. I’m not sure how I feel about leaving my lamb out at room temp for that long, since I’m such a bacteria-phobe. My knowledge about “storing temperatures” for raw foods makes me cringe at what I’m doing, but then I’ve also read many recipes that call for marinating at room temp IF you need to marinate something quickly (1 hour or less) vs. several hours to overnight. I’m hoping my lemon juice will not only help to tenderize my meat, but to act as an anti-bacterial. We’ll see later 🙂 So, I’m off to get the chops on the hot pan before I gross myself out. 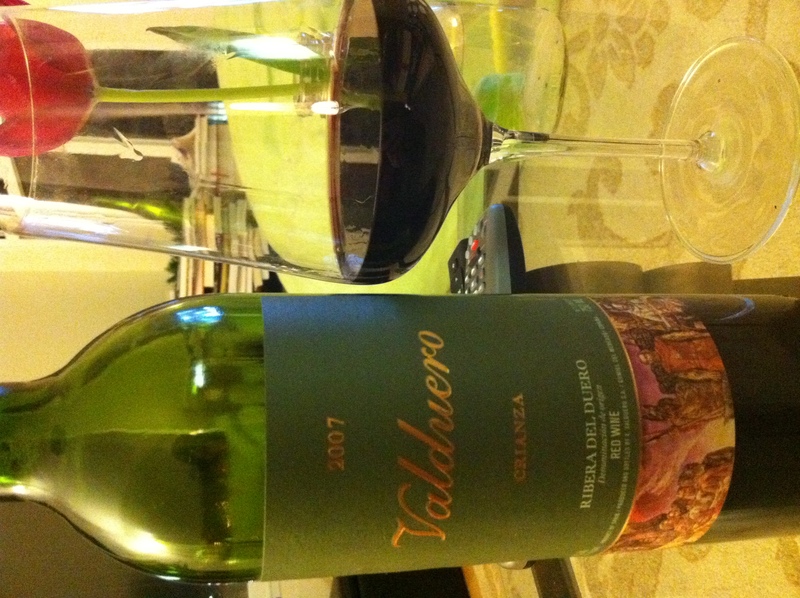 One last comment, I’m pairing my roasted root vegetables and lamb with a 2007 Valduero Crianza, which is an Italian red table wine. It’s very drinkable right out of the gate, with or without food. I really like this red. If you’re into Robert Parker ratings, it has a 90/100. And, the price point isn’t horrible: around $25/bottle, depending upon where you buy it. I can’t believe there are less than 5 weeks left of school. Yikes! Where did this 6 months go? I knew it would go fast, but please. This flew. I’m not ready to be done. No doubt there’s a big bad (good) world of chefs and restaurants I’m looking forward to learning from in 2012, but I’m just not ready to be done with the formal instruction. I know I’m a goofball for loving school so much. But, I have always loved school. And, I’m even more of a goofball because now I’m attached to different instructors and my classmates and I know I’m going to be sad when I don’t see them anymore. Yes, I’m a super geek. But, I have to give FCI, the instructors and my class, especially, the props for making it such a fantastic time (even on the days when I want to smack somebody with a pan – a small one, of course). Okay, enough of the waxing nostalgic before there’s even time for nostalgia. 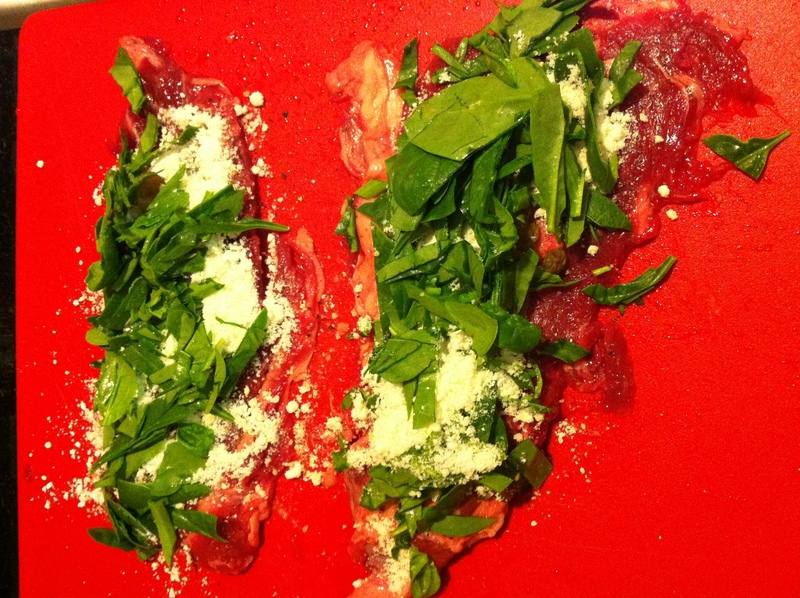 Onto food…. First, I’m flattered that people read my blog and mimic the recipes I post, even when the recipes aren’t mine. Last night my dad made the lemon curd with berries and chantilly. 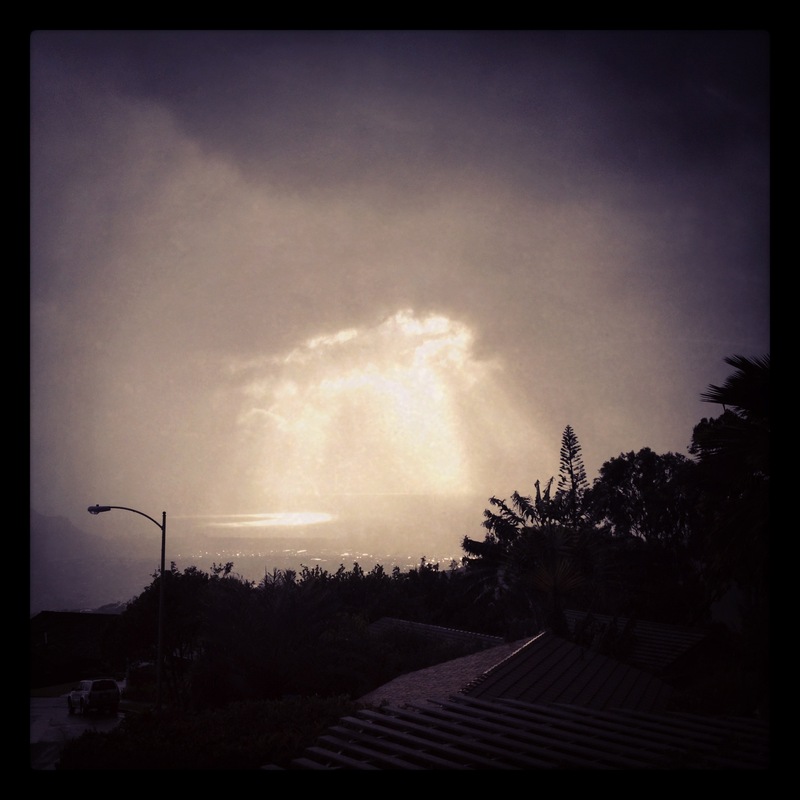 It looked beautiful. Way to go, Papa! Speaking of mimicking, I want to be able to mimic La Quercia’s prosciutto. It is die for. Bobbie, Mark and I had a small plate of it last night at Locanda. It was so “clean”, with beautiful fat (which, if you know me, sounds totally ridiculous coming from the “no fat” girl). Definitely, the best I’ve tasted. We also had a smoked white fish, horseradish and dill pizzeta and some deep fried olives – both decent but nothing I need to eat again. We noticed that all 3 line cooks in the open kitchen space consistently kept towels in their left hands, handled the pans with their left hands, and used their right hands for plating and saucing. Can’t wait to get to that point. I’m still a two hander at this point which = too slow. After Locanda, we went to Serpentine, which is one of my favorite restaurants to go for dinner, just whenever. I love the ambiance and decor – warehousey, with vaulted ceilings and lots of wood and steel, with a wall of brick and windows. Simple, rustic, yet modern and not a bunch of frills. And, the food is consistency delicious. We started out with the homemade pickles, which were excellent. We also had some oysters from British Columbia and some sweetbreads with a celery root puree and roasted artichokes. That probably seems like a weird mix of starters, but it worked. And, I can’t believe I’m going to post this, but the sweetbreads were the highlight. It was all about the sauce and the artichokes, of course. But, the sweetbreads were expertly prepared – pillowy with a nice crunch on the outside. We moved onto the Prather Ranch burger with gruyere, the duck, and the hanger steak. All delicious, and yes, when I go out with Bobbie and Mark, I’m a HUGE meat eater. But, I figured the red wine counter acts that, right? 😉 Not really, so tonight, it’s salad night for dinner! Speaking of, I need to get pickling my watermelon radishes which are the size of my fist. And, I need to start reading the Spain and Portugal Michelin Guide to see what restaurants I’m going to bug to see if they’ll let me play in their kitchens next year. 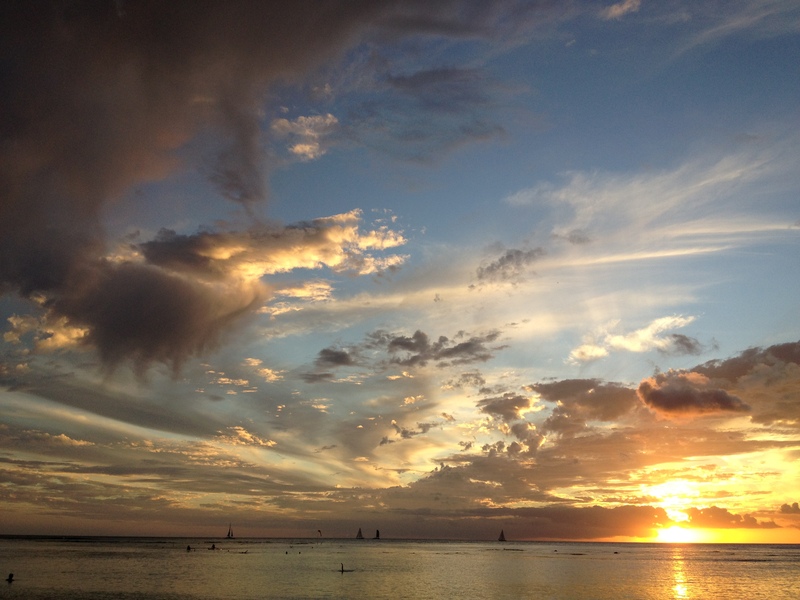 So, short blog post tonight. Happy Eating! 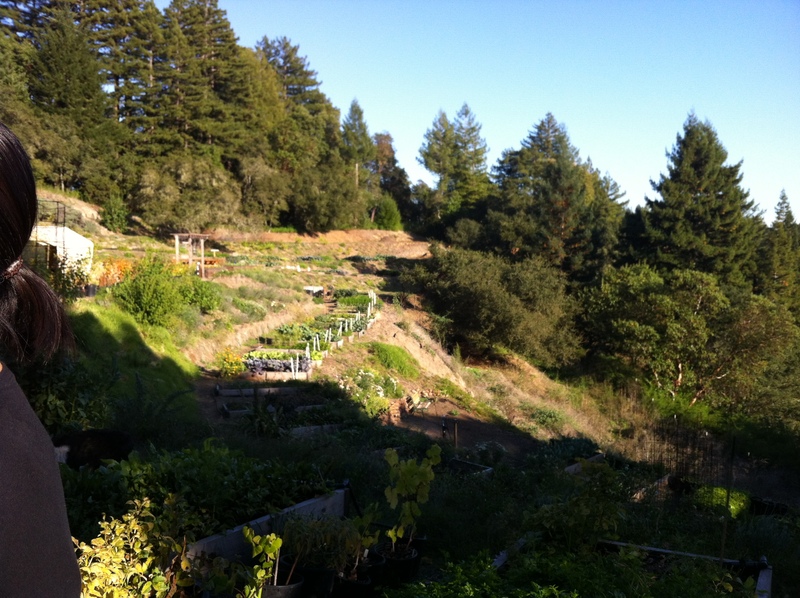 What a fun tour of Love Apple Farms on Thursday (see http://www.growbetterveggies.com/)! FCI put together a special tour for our class of 9 with the owner of the farm and Chef David Kinch, who is also a dean of FCI. We spent about an hour touring the gardens and picking and eating fresh vegetables. Then, we went to their “classroom” and nibbled on several different herbs, some cheeses they made at the farm, and their hard cider. I love the concept of farm to table and I do agree that the food tastes incredible. It has to; it’s at its freshest. It would be so awesome if everyone could eat that way, instead of just the wealthy and those who own farms. 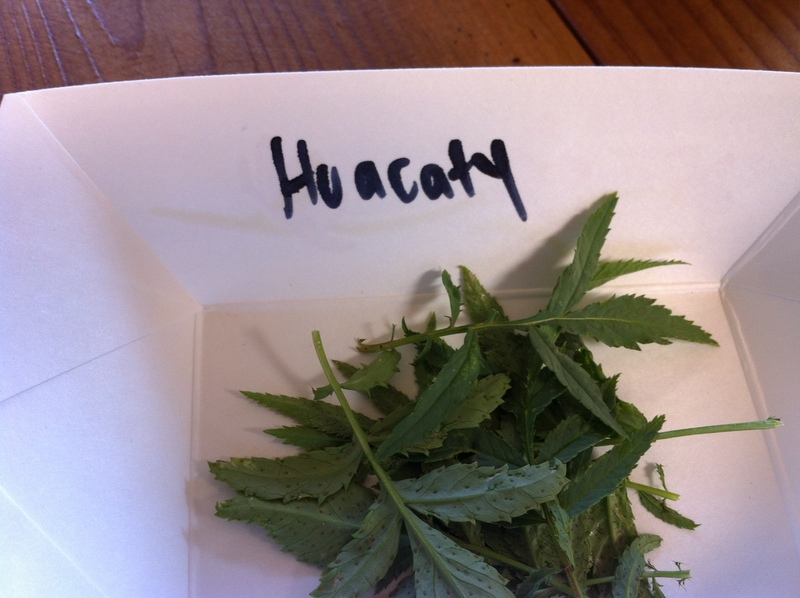 There were some fascinating herbs that I had never tasted before. Like this one: Huacaty. It smells like an herb I used to smell in Berkeley – ha! 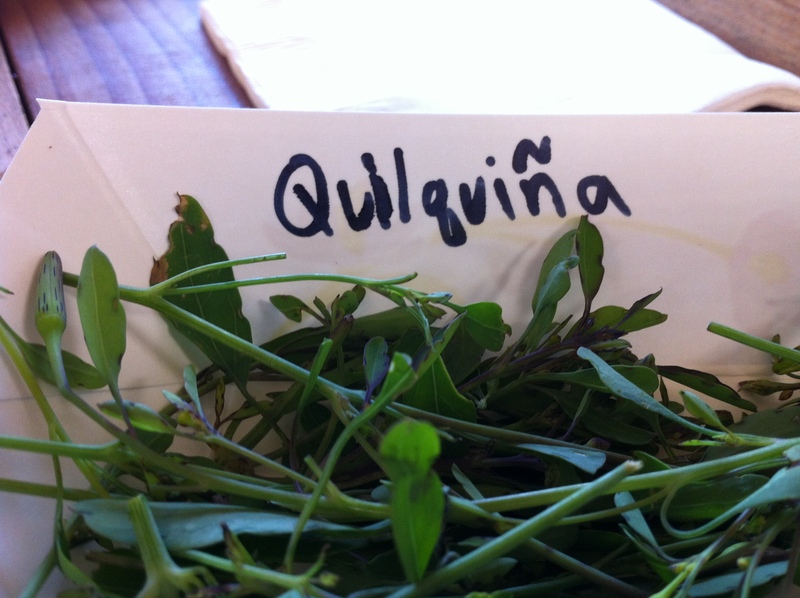 I also really liked the quilquina, which tastes like a strong cilantro and is really fragrant. 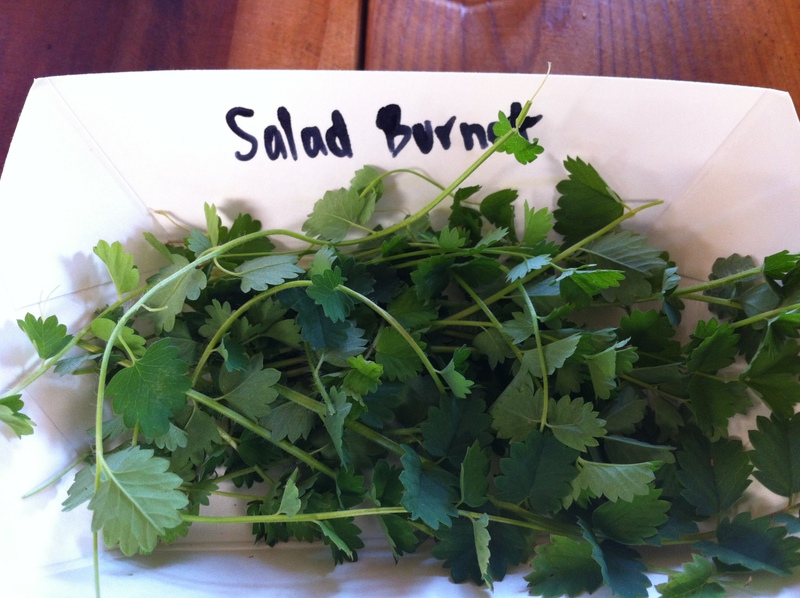 The salad burnet was great and would be lovely in an herb salad. 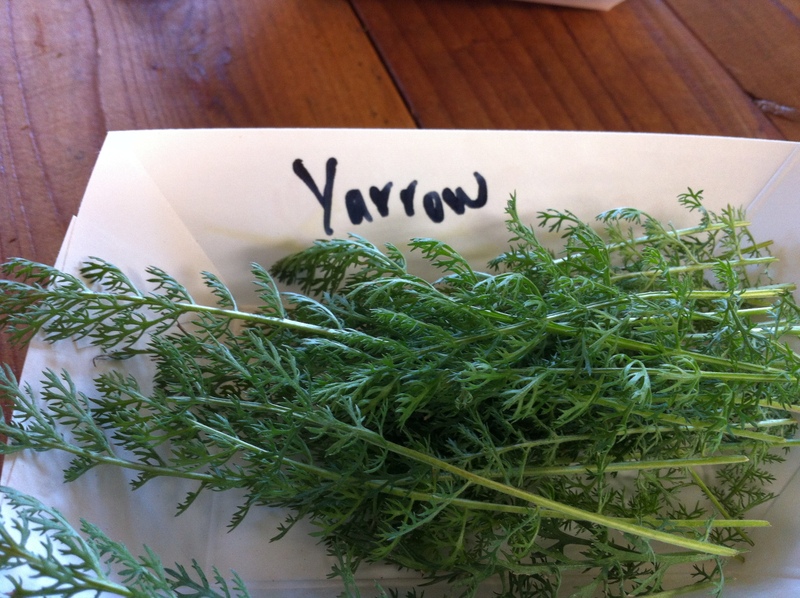 The yarrow was also tasty and has an interesting history as an herbal medicine, the parts of the herb being used for different purposes – everything from clotting blood (the leaves) to treating phlegm to being used as a pain reliever and fever reducer. 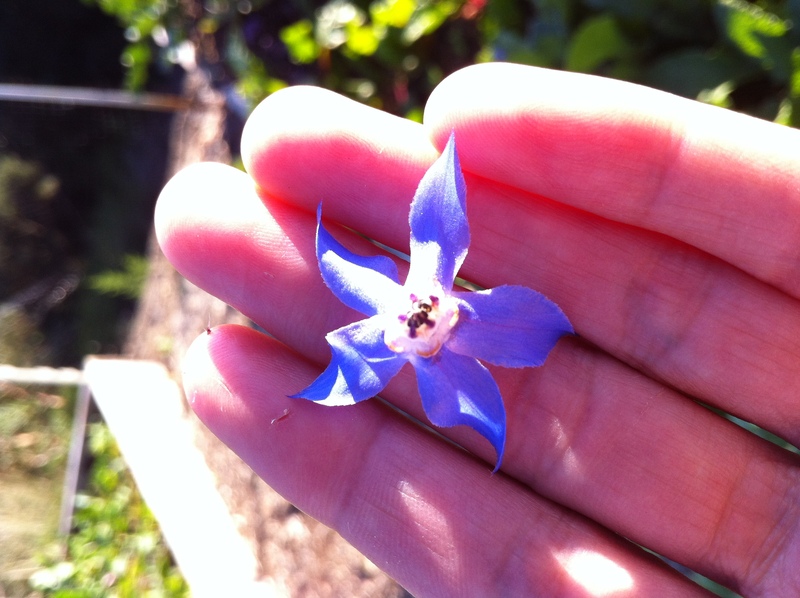 We use the flower of the borage (in my hand of the picture featured at top) at Commonwealth to decorate different salads, and it’s gorgeous. 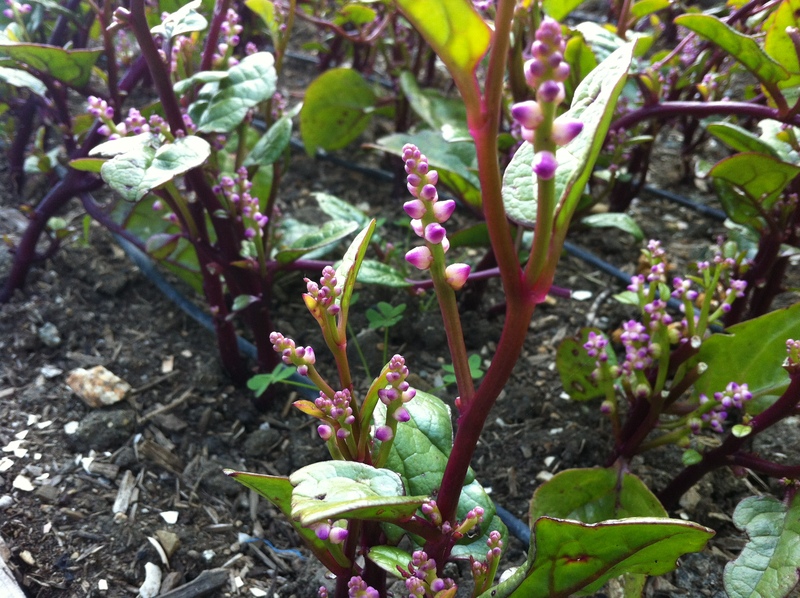 We also tasted a myriad of vegetables and being a vegetable fan I was surprised I hadn’t tasted a few, like this one: malabar spinach. I love spinach, but I didn’t really love this spinach. The leaves had a consistency of okra when I ate them: gooey and slimy. In my eating world, gooey and slimy should never be adjectives used to describe vegetables, so when that happens, I usually avoid that vegetable. It was also kind of bitter. Not a fan. It makes me miss growing up in MN and Iowa, in MN when I used to work with my dad at Cal’s market (Cal had a farm and we worked at his vegetable market where everything was picked that day and brought to the market early in the morning) and in Iowa where my cousins and I would spend summers at my grandparents’ corn farm. 7) Right before service, whisk some sour cream gently into the curd. I didn’t use the exact amount called for in the recipe, as it depends on how lemony you want the dessert and the texture and color you’re going for. Eyeball it somewhere between 5-7 ounces of sour cream. The sour cream may need a little help breaking up in the curd and becoming smooth, so keep working at it until it’s smooth. This should only take 1 minute or so. Serve in a tart shell or a cold custard glass, top with whipped cream and berries. 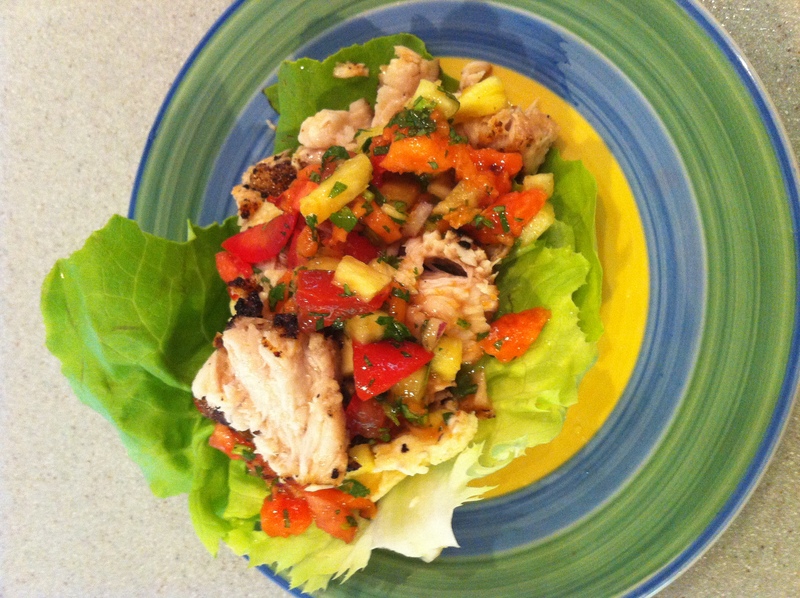 Day 93 – Chef Peter’s back! It was fun having Chef Peter back in the kitchen and also expediting. He has a ton of stories from his time in restaurant kitchens. Not preachy; just life lessons. I like that way of teaching. Tomorrow I move onto patissier with Tomas – that should be fun. I get to pull some sugar, make some ice cream, make some caramel and make some caramel date souffle-type cakes (pictured, above). Then, the following day, I’ll make a lemon custard tart, almond brittle and candied pineapple (I actually think candied pineapple is disgusting because why would you take a perfectly delightful fruit and heap a mound of sugar on top of it?). I’m excited to be on patissier for 4 days, as desserts and pastries are not my strength, mostly due to the need for precision measurements and/or baking time. Since I don’t love either the rabbit or the osso buco recipe, I’ll post a recipe that I made for my dad and Maren when I visited several weeks back, which I do love (and so did they!). It was a prawn and lamb kebab, which is an unusual riff on surf and turf that I had a few doubts would work. But, it was delicious! My dad and I love lamb and we love prawns, and this was a dynamite combo. I’ll also post a fried green tomato recipe for the last of the tomatoes that people are picking from their gardens right now. 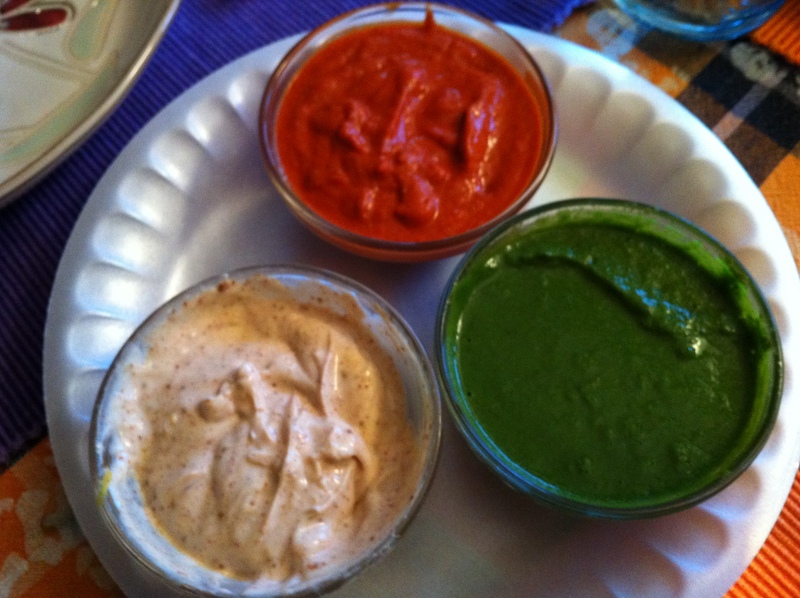 I paired the kebabs and tomatoes with 3 dipping sauces: a smooth chimichurri sauce and a harissa sauce for the kebabs, and a sour cream chipotle sauce for the tomatoes. 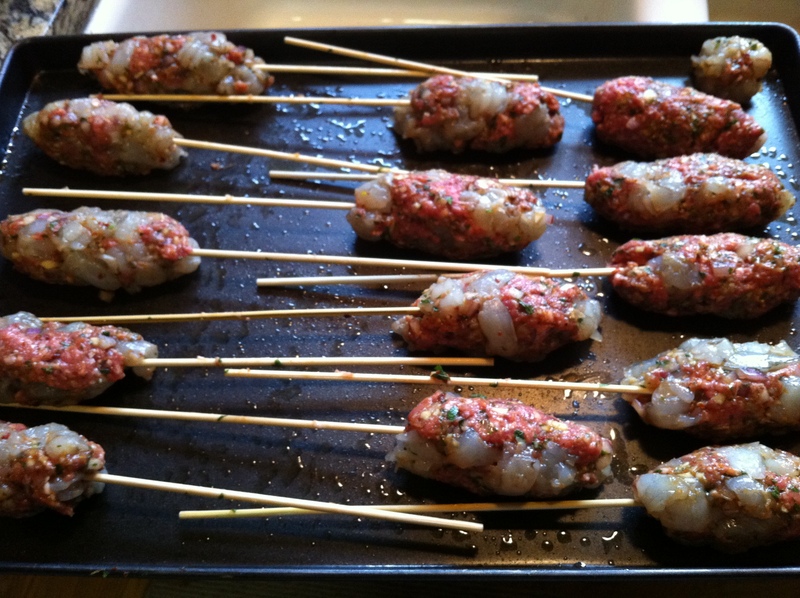 The first pic is of the raw kebabs after I mixed all ingredients and right before they hit the grill. 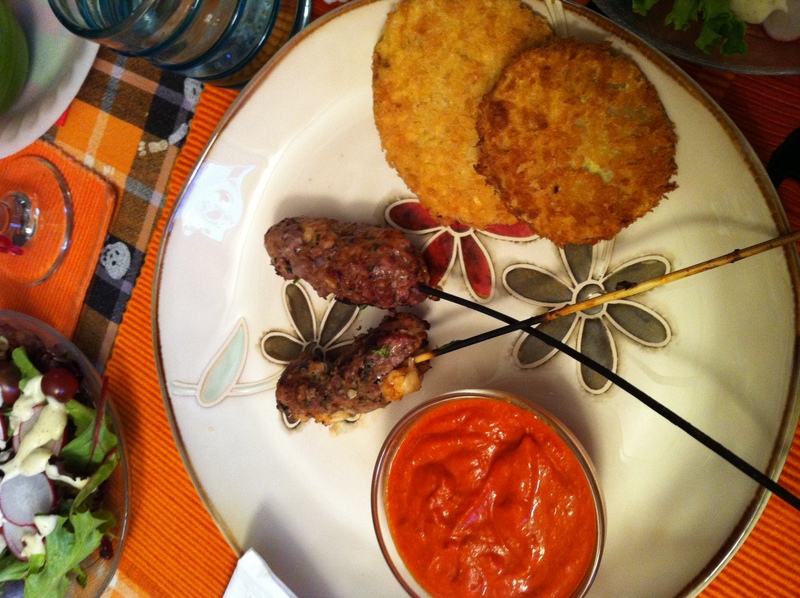 The second pic is the finished product with a harissa sauce and fried green tomatoes on the plate. 2) Gently combine all food ingredients in a bowl until thoroughly mixed. 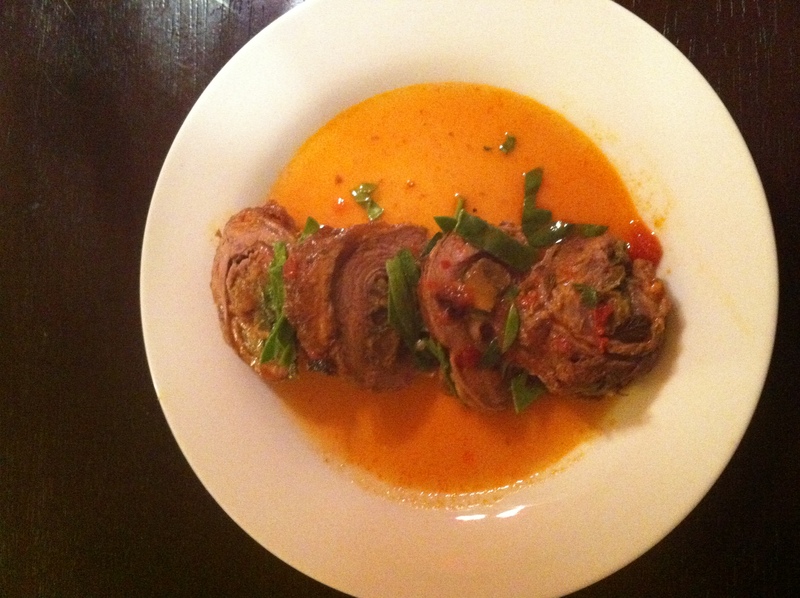 3) Place about 2 tablespoons of lamb-prawn mixture in your hand and roll into a 2″ long oval (or oval-ish). You want it to hold it’s shape around a skewer. 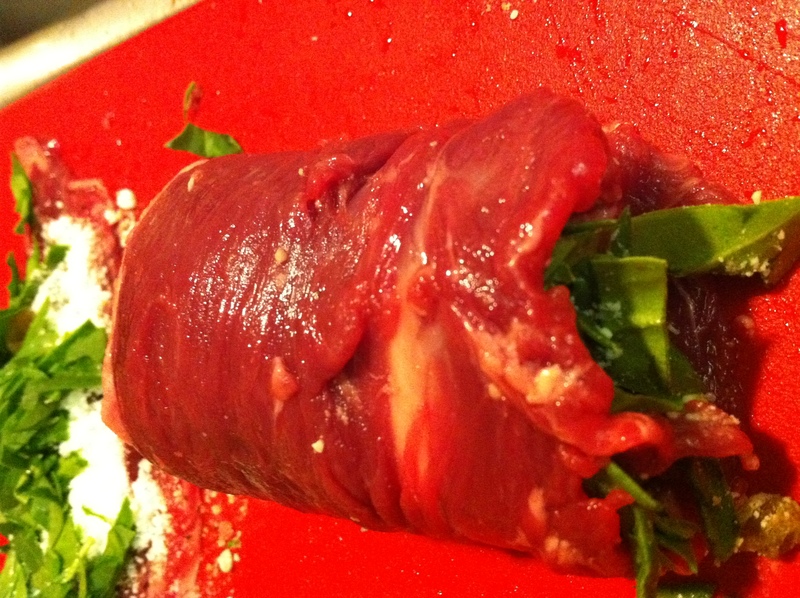 4) Slide skewer into center of oval and gently press the lamb-prawn mixture to the skewer. 6) Brush all skewers with olive oil on all sides and grill on medium-high, turning until brown on all sides and meat is just cooked through. 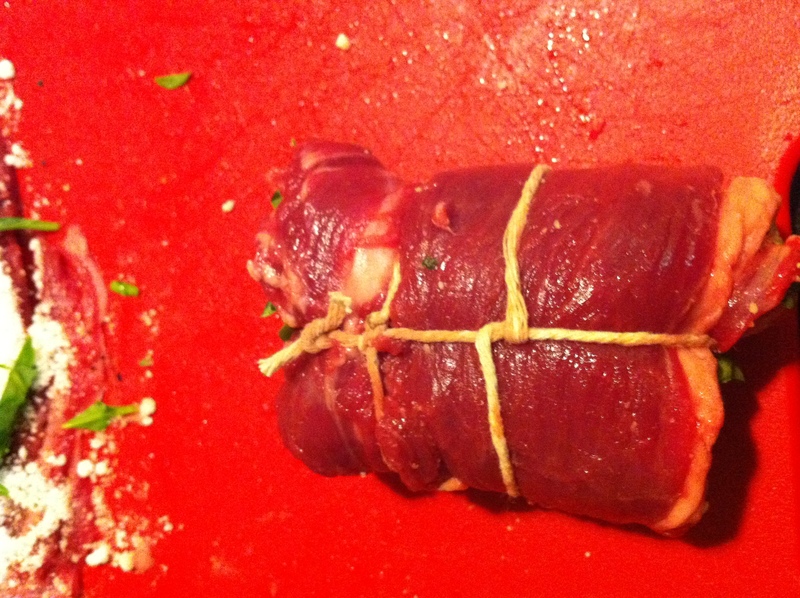 The chopped prawns will cook faster, so if you like your lamb med-rare, do a test skewer and see how long it takes. 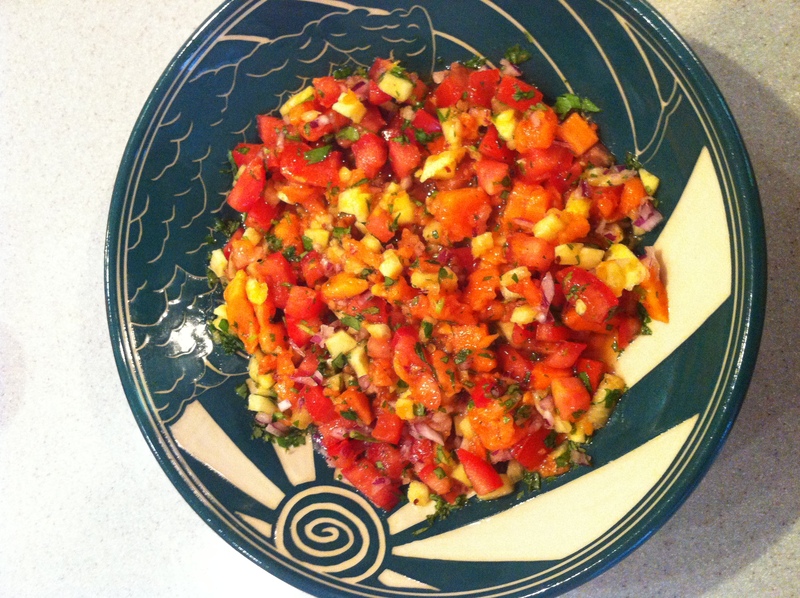 7) Serve with Harissa sauce (recipe below) and/or Chimichurri sauce. Roast the red peppers either over an open flame on underneath the broiler until charred on all sides. Wrap in plastic wrap or a plastic bag and allow to sit for 10 minutes. When they have cooled enough to handle, peel or scrape the charred skin off peppers. Toast the cumin, coriander and caraway in a small skillet over low heat until fragrant. Then grind to a powder in spice mill or a clean coffee grinder. Put the peppers into a food processor along with the spices, garlic, chiles, salt, olive oil, and lemon juice and pulse to a puree. 3 breading bowls, 1 for each ingredient: 1) panko, 2) all purpose flour mixed with the dry spices noted above, 3) 3 eggs, beat. 1) In a pan big enough to hold 4 slices of breaded tomatoes without touching each other, add enough vegetable oil (canola is probably best or any oil that has a high smoke point) so that you can “deep fry” the tomatoes. Bring it 350 degrees Fahrenheit (if you don’t have a candy thermometer, you’ll need to guess. On my dad’s electric stove it was at medium-medium high on the gauge. Don’t let the oil smoke- that indicates it’s way too high). 2) Dip the tomato slices first in the flour/dry spice mix and completely cover on all sides. 3) Next dip the floured tomatoes in the eggs and completely cover. 4) For the final dip, cover the floured and egg’d tomatoes in the panko crumbs. 5) Fry until golden brown on each side. You’ll need to flip them after 1-2 minutes. If your tomatoes take longer than that to start to turn golden, your oil is too low. If they immediately start to brown, the oil is too hot. You may need to do a test run with 1 or 2 tomato slices if you don’t have a candy thermometer to tell you the temp of your oil. 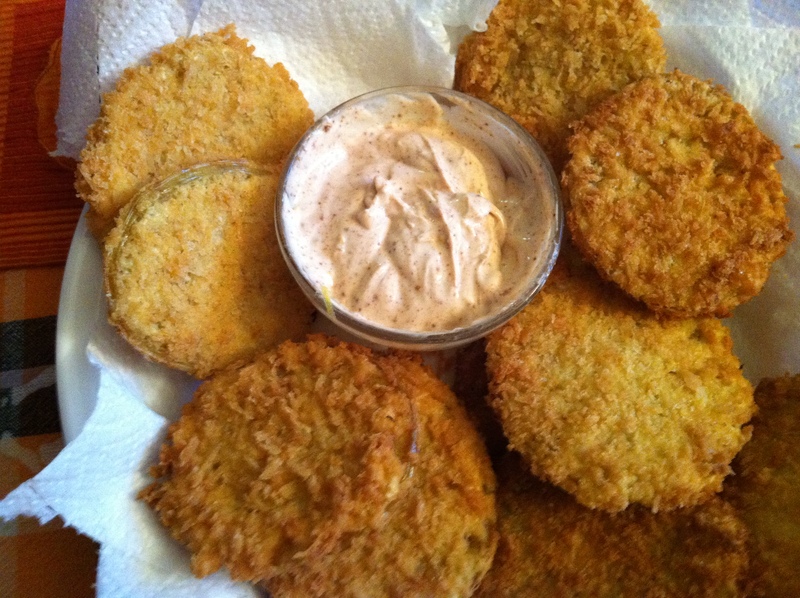 6) Serve with your favorite dipping sauce. Ours was an olive oil mayo mixed with dried chipotle pepper, dried ancho chili powder, a squeeze of lemon and lemon zest from 1/2 of a lemon. I won’t post a chimichurri sauce recipe, as it’s different every time I make it and it would be too hard for me to give exact quantities. This one is really all about your taste. But, the basics are: use 3 fresh herbs (I like mint, basil and flat leaf parsley, but you could throw in cilantro as one of them), add in some acid (either red wine vinegar or lemon), add in some red or white onion, salt, pepper, 1 garlic clove, some olive oil, and pulse if you want it chunky or puree if you want it smooth. Go easy on the acid to start with, as you can always add more. It’s sort of like a pesto without the nuts or cheese, which makes this a great vegan condiment.